Mon-Sat 8:00 a.m. 5:00 p.m.
With the touch of a button Cobalt's automated computer control surf system adjusts the Bi-Axis Surf Tabs to create the optimum surf wake either left or right. No need to transfer ballast load between tanks to achieve optimum surf wake. In Performance Mode the surf tabs automatically deploy and adjust for a quick hole-shot through to running speed, easily getting the boat on plane with full ballast. No need to empty tanks for a quick run at speed. 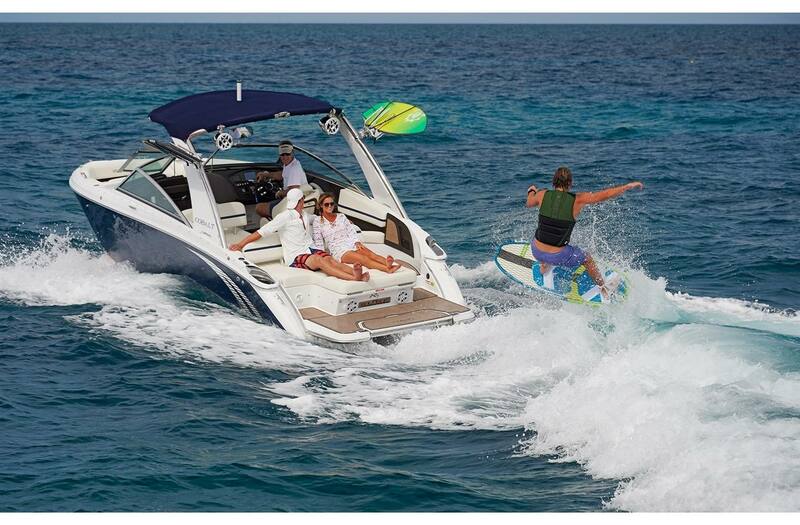 Exceptional wake surfing doesn't come at a compromise to Cobalt's softer, drier, faster ride. With the versatility of full-range power trim all the control and efficient operation remains. 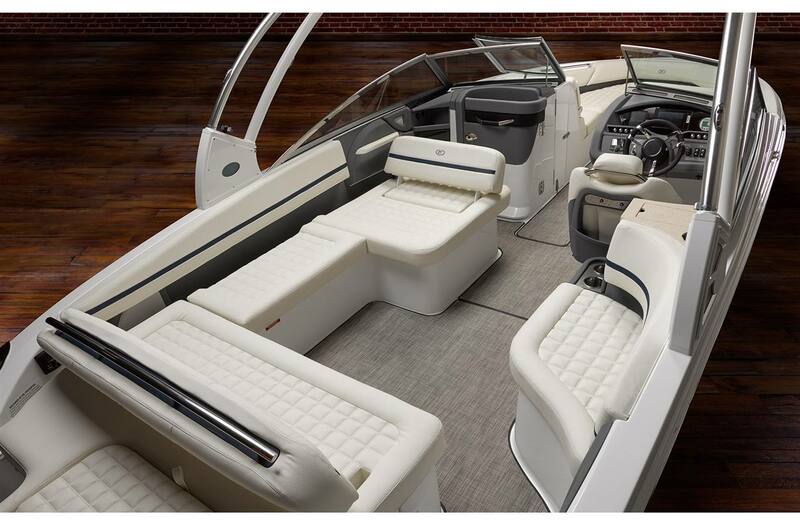 Drivers can easily customize the wake for surfing, wakeboarding or smooth cruising. Plus, Volvo's Forward Drive is uniquely engineered with two forward-facing counter-rotating props, which position the propellers to the front of the drive unit, well under the boat. 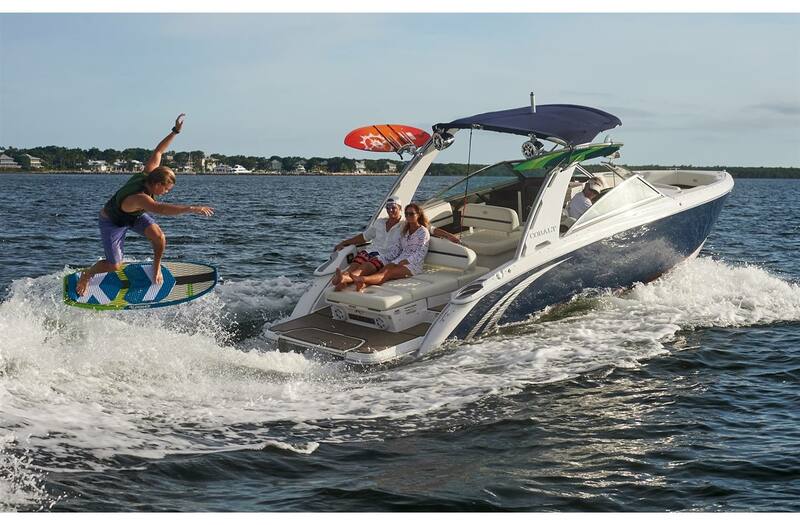 The best aspects of boating by providing a world-class ride combined with a superior surf wake. Length Overall w/Swim Platform: 27 ft. 6 in. Beam: 8 ft. 6 in. Interior Cockpit Width: 95 in. Deadrise at Transom: 21 deg. Bridge Clearance w/o Bimini: 64 in. Bridge Clearance w/Bimini: 91 in. Bridge Clearance w/Arch or Tower: 98 in. Draft Drive Up: 21 in. Draft Drive Down: 37 in. Depth & Water/Air Temp Gauge Pkg. Sound System, Bluetooth, w/6 Spkrs. Plat Sound w/Transom & Arch Spkrs-2 pr. Prem Sound w/Transom & Arch Spkrs-1 pr. Drive Up: 21 in. ; Drive Down: 37 in.